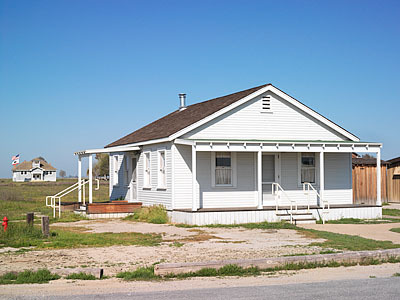 Use the photographs below to take your own "virtual" tour of the buildings of Allensworth and whet your appetite for a real visit. 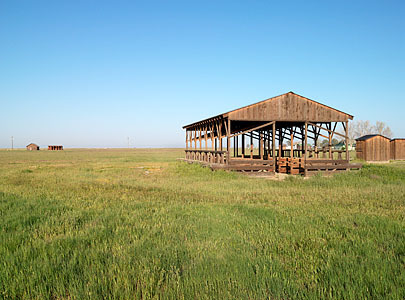 Agricultural buildings, like this dairy barn that belonged to the Ashby family, were and are a big part of the Allensworth landscape. 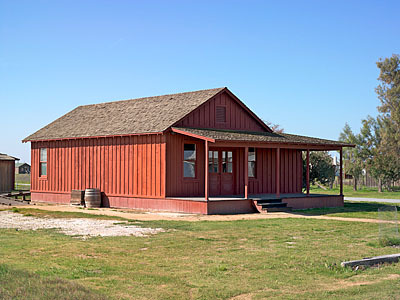 The Allensworth House living room is where much of family life took place. 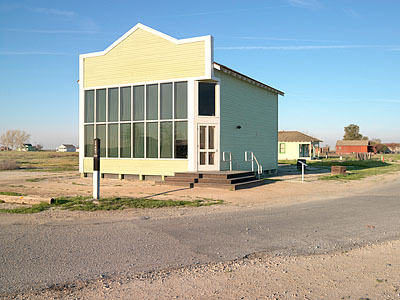 The Hindsman Store was and is a dominant fixture of Allensworth. 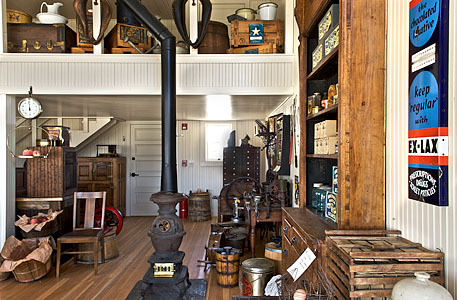 The interior of the Hindsman Store is a delight for the senses, and visitors young and old find much to see and experience here. 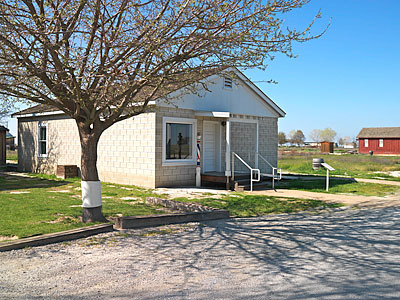 The first branch of the Tulare County Free Library was housed in Allensworth, in this building--the Mary Dickerson Memorial Library. 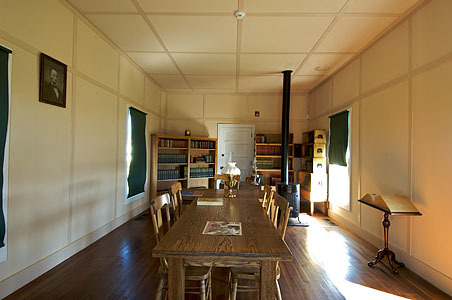 The interior of the library gives visitors a sense of what it must have been like to read and study here a century ago. 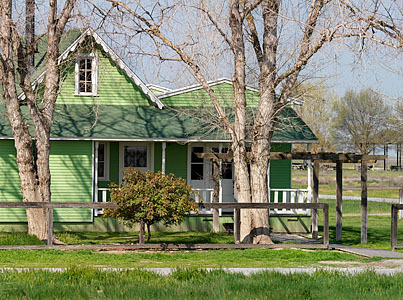 The Allensworth Hotel, built in 1910, served traveling salesmen and others with business in the area. 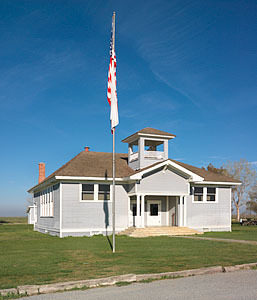 Built in 1912, the Allensworth Schoolhouse was the biggest building in town, and represented the hopes and dreams that Allensworth's residents had for their children. 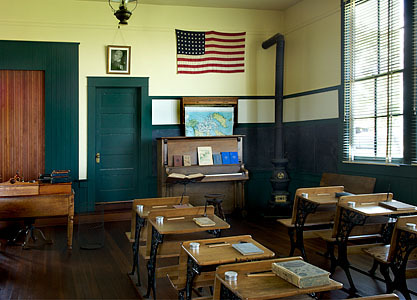 The schoolhouse was considered the the best in the Central Valley at that time, with two classrooms, two cloakrooms, two dressing rooms, and a stage. 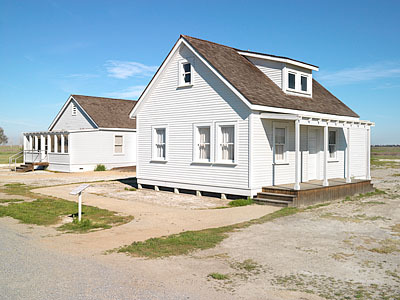 The Stockett House (foreground) and Hackett House (left) were among the first built in Allensworth. Abraham Stockett built the Hackett house in 1910, and classes were held there for two years until the schoolhouse was built. 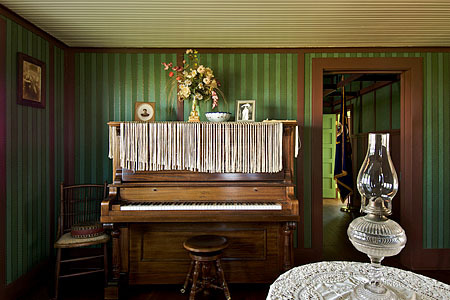 The parlor of the Hackett House was where guests were entertained. The S-shaped couch was historically often referred to as a "kissing couch." 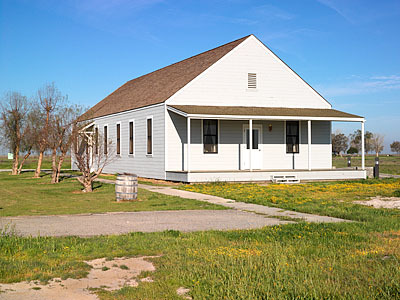 Colonel Allensworth, himself a Baptist minister, started the process of constructing a Baptist church in Allensworth. 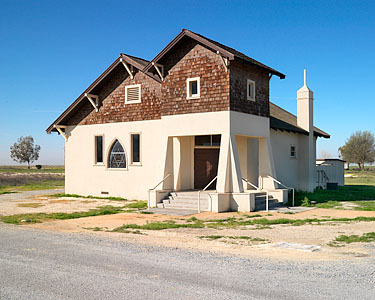 The church was dedicated in March 1916, and it later became the most significant reconstruction project undertaken by California State Parks in the 1990s. 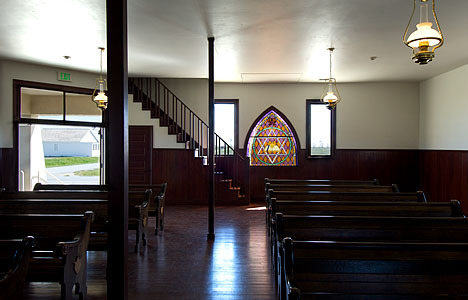 The interior of the Baptist church features a stunning stained glass window in a design known as the "Creator's star." 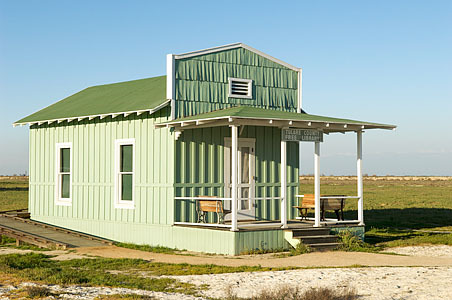 The Allensworth Cash Store was built by Joshua Singleton in 1910 and at one time also included the post office. The Singleton family lived in the back part of the building, behind the one big room that served as the store. 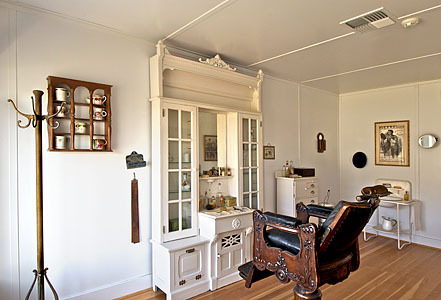 Frank Milner came from the Bay Area in 1911 and in 1914 replaced the small frame house he had been using as a barbershop with a building constructed of concrete blocks that were made on-site. Like in so many other communities, the interior of the barbershop also served as an informal men's social center. The single barber chair sat like a throne with a view out the shop's picture window. 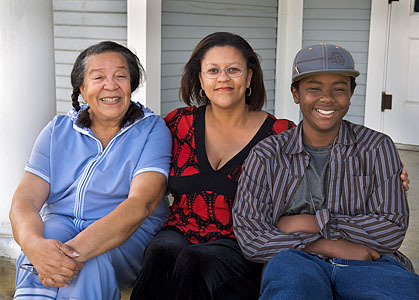 The Dotson family came to Allensworth in 1911 and in late 1914 they opened a restaurant in the front of their home. 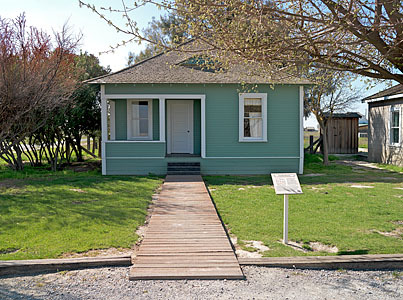 The Dotsons relocated to Fresno in 1920 and their house and restaurant were reconstructed in 2004. 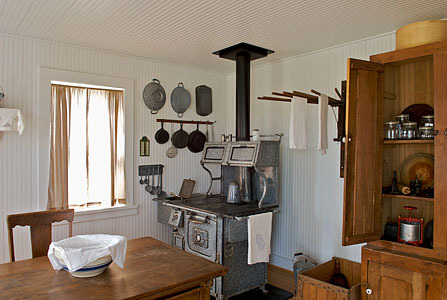 The kitchen of the Dotson house, like many other Allensworth buildings, is richly furnished to reflect how it may have appeared in the early 20th century. 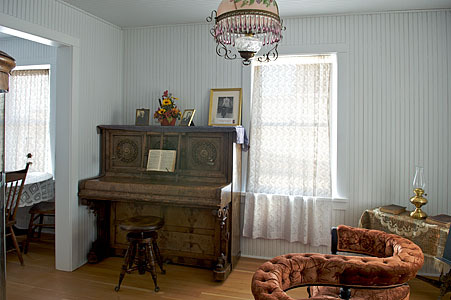 It is believed the Smith House was built in 1918 by Mr. Frank Smith, who was known for having the "best" "truck garden" in the area and for raising Belgian hares. 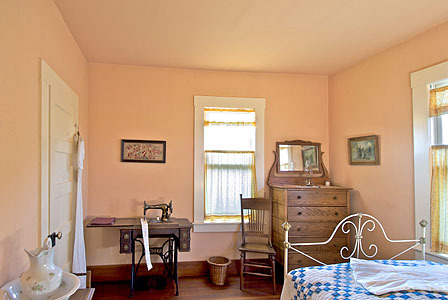 The wall color of this bedroom in the Smith House brings out the beauty of its furnishings and the richness of the Allensworth sunshine beaming through the windows. 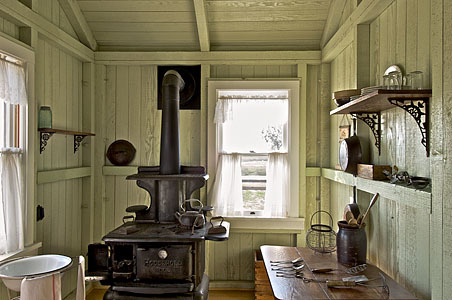 This bright and airy view of the kitchen in the Phillips House gives visitors a real sense of life in Allensworth during its heyday, when the kitchen was often the true "heart" of a home. 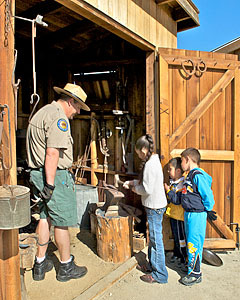 A State Park Interpreter shows children all the interesting "stuff" there is to see in the Allensworth Blacksmith Shop. 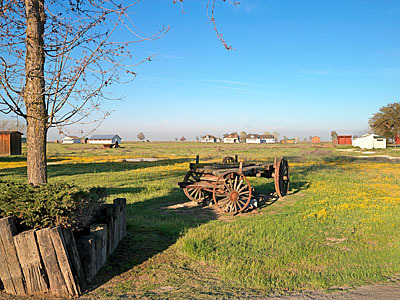 Although the buildings of Allensworth help us envision this township as it once looked close to a century ago, the real heart and soul of the community was its people. Here we see three generations of family enjoying a visit to the park on a mild Spring day.